Ahoy mates, and landlubbers alike. Allow me to introduce myself. 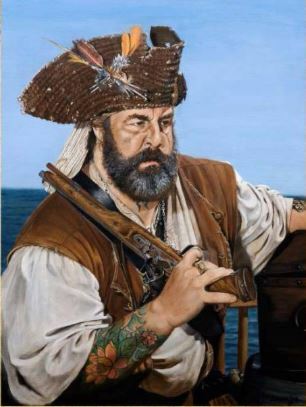 I am Jeff MacKay Master Hatter of Captain Jack's Pirate Hats, Owner of the Pirate Trading Company, Captain of the Mackay Pirate Family, and acting Grand Leviathan of The Order of Leviathan. It is one of my great honors to have been elected into the Order in 2010. The membership of this prestigious group consists of talented Sea Salvage Engineers and "Pillars of the Pirate Community." 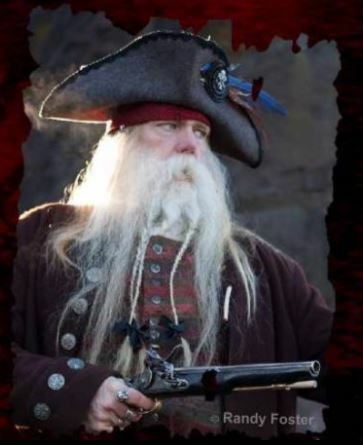 They are noteworthy artists, artisans, entertainers, and entrepreneurs who have made their mark among the brethren, by contributing greatly to the betterment of the Pirate Reenactment cause. 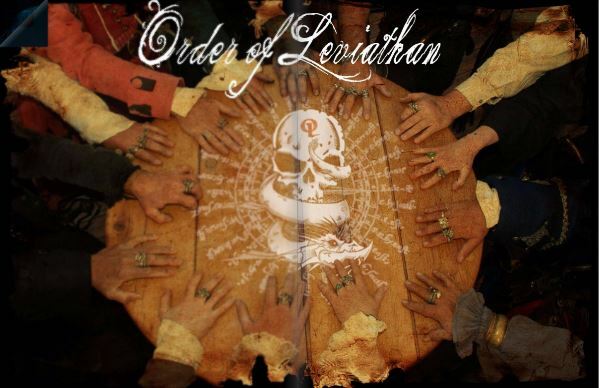 The Order of Leviathan serves as a benchmark: A position of recognition to aspire to. It is my hope that the Order will continue to attract, those Pirates within the community, who strive to achieve that high level of recognition through their contributions to the cause. 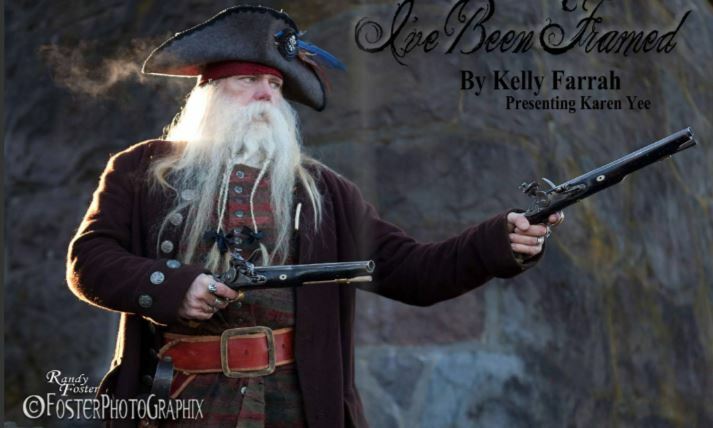 Kelly Farrah, aka Master James Longshot Murray, Captain of the Black Cygnet, has been a Property Master, Armorer, and Art Director in the film industry. He collects early publications on Piracy and is an artist and a master at period writing, maps, flags, scrimshaw, and many lost arts. He is literally a "Jack of All Trades." Not only was Kelly the Armorer on the Pirates of the Carribean, 2,3, and 4, he also designed and constructed the pirate flags for the "Raise the Colors" sequence in At World's End, the the third installment of the hit pirate franchise. He has designer displays for several museums, and his artwork for the film Glory is on permanent display at the Smithsonian's Black History Wing.